Christiana Morgenroth is a recent graduate of the University of Southern California's Film & Television Production program. She was born in Pasadena, California in 1992, and due to a series of fortunate events, currently resides there again. Having met her academic goals, her aspirations are now centered around becoming a professional filmmaker. This summer, she is working as a camp counselor at the Young Actors Theatre Camp and teaching kids how to make movies. Most recently, she directed and edited Rewrite, a short film in which young girls examine the tale of Cinderella through a contemporary feminist lens. Christiana is a fan of science fiction, exploratory adventures, Wes Anderson's oeuvre, and pizza. She has three dogs, a penchant for comedy podcasts, and a surprising knack for untangling knots. 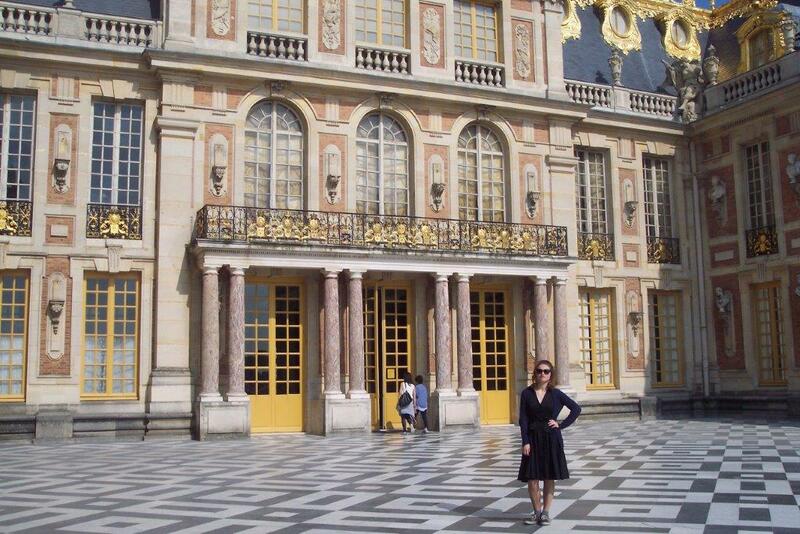 The author dressed anachronistically in front of Versailles.